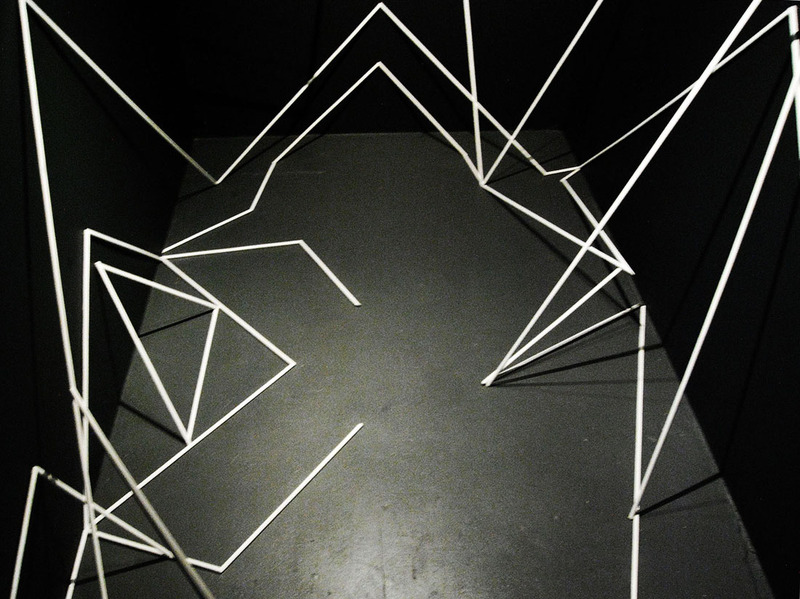 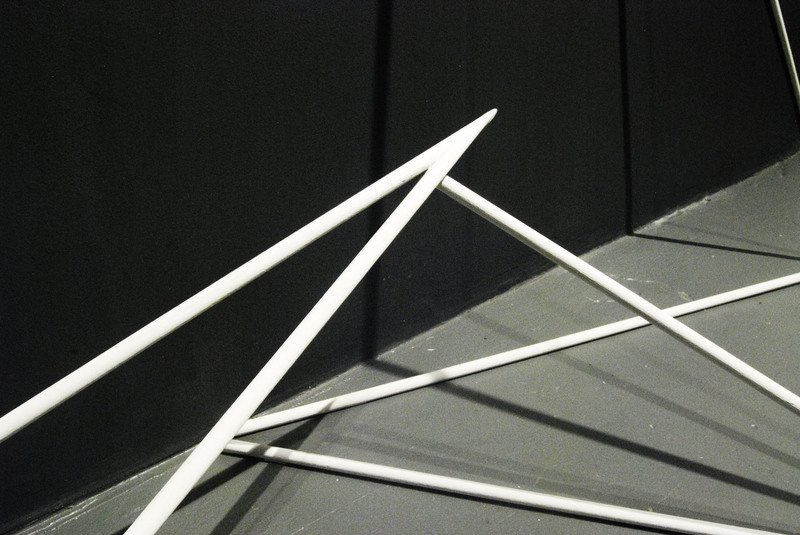 Dowel, acrylic paint, dimensions variable. 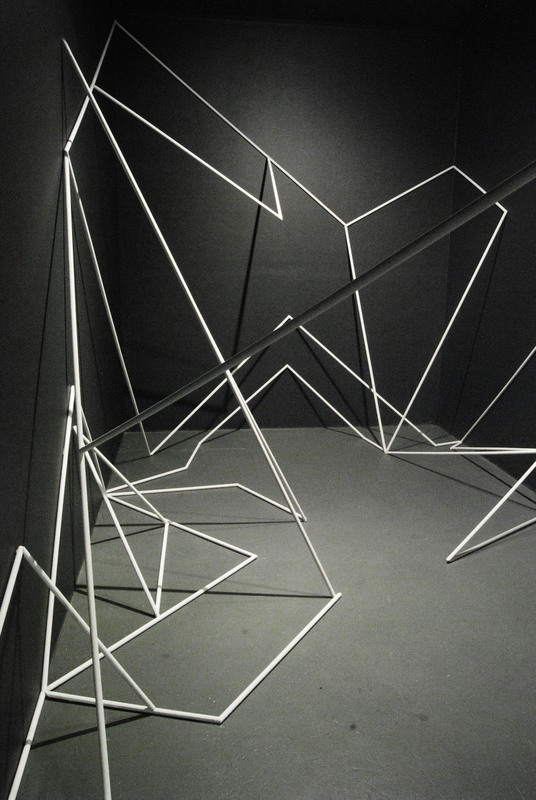 In Lauren Simmonds’ work, Point of Departure, geometrical line drawings come to life as large-scale, tangible sculptures. 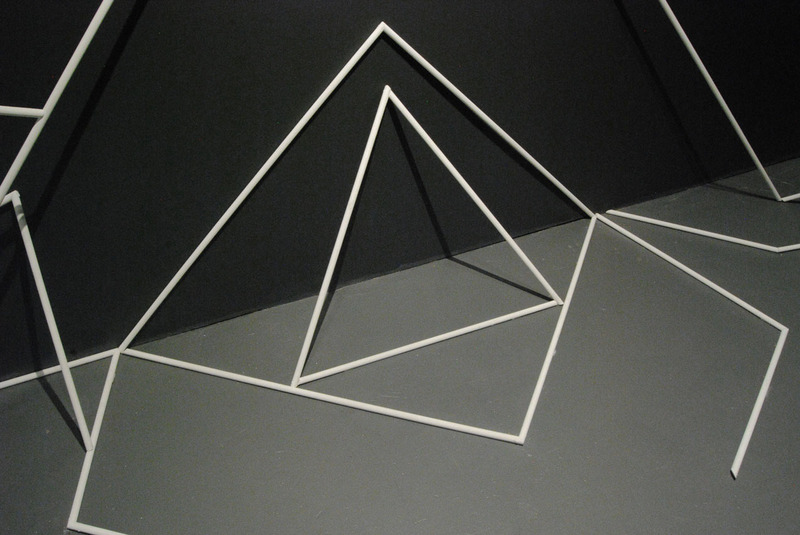 The shapes invite the viewer to move through the forms, immersing in an experience both solid and shifting. 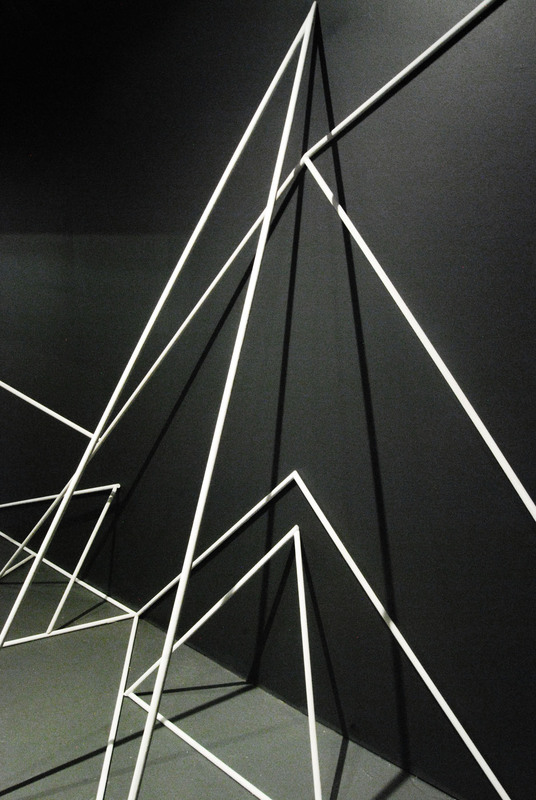 Lauren undertook geometric line drawings in an exploration of the discarded negative spaces from her previous paper cut works. 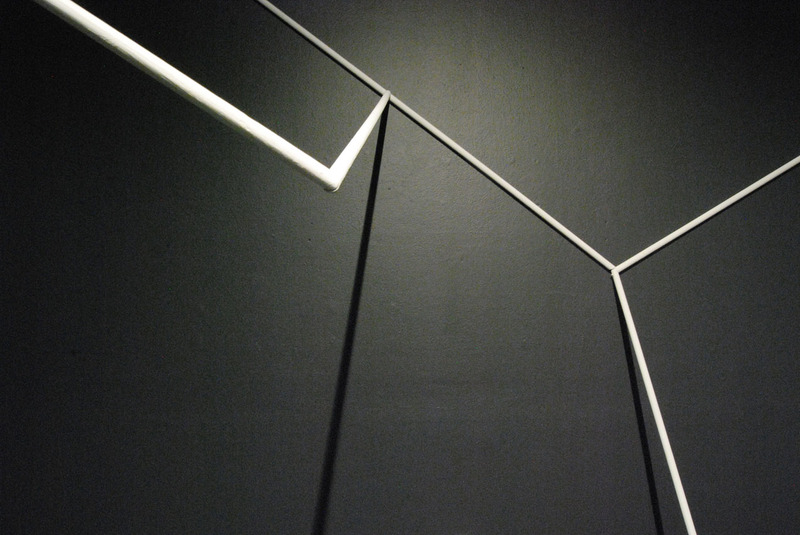 Maintaining an interest in light, shadow and fragility, Point of Departure marks the transition between paper and movement, whether that be by artist, materials or the viewer.